10 km from the campsite (15 mins) – sand – paying car park – on-site restaurant – shower/toilets – shaded areas Plage de l’Estagnol is one of our “Mediterranean Corners of Paradise” (Coins de Paradis®)! 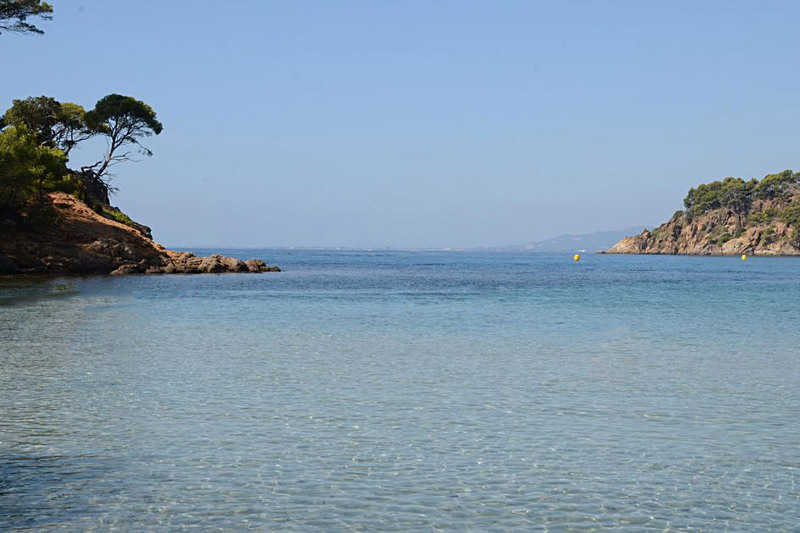 Located on Domaine de Brégançon, this magnificent, sandy beach measures 475 metres and is lined with a pine wood. Gently sloping and shaped like a lagoon, it offers shallow waters and is ideal for tiny tots and children. It is perfectly sheltered from winds. You can park at Parc de l’Estagnol (paying), offering showers, a toilet and restaurant serving grills. Shaded car park. Open from Easter to Octoer.